Even though the next run is only a 5K, it feels like a way bigger deal than that! 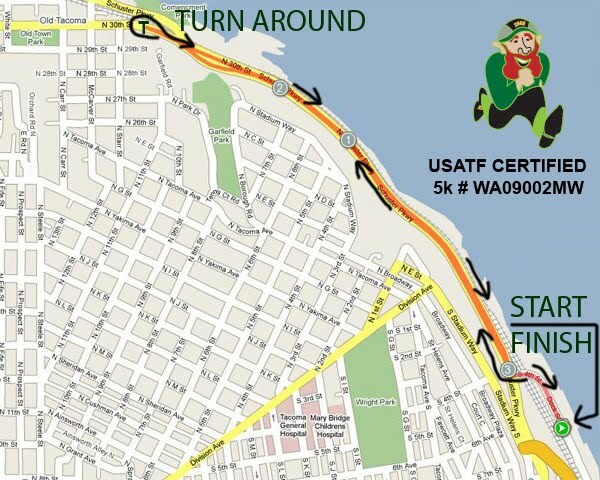 Michelle and I are running the Tacoma St. Patty’s Day 5k March 12th. It feels like a big deal because we get timing chips and it is a USATF certified course. Which means it is has been measured and is officially a 5K and times/records stand nationally. Michelle and I will not be setting any time records I’m sure, but we are looking forward to an organized event that uses timing chips. We are both curious to see what our time is like on a road course. Plus, we do training runs along the water often, so we are looking forward to a nice flat run along the water! So excited for this one! From the pics it looks to be a very festive crowd!